Commonwealth Oil is the industry leader in EDM fluids, recognized for producing exceptional machine performance and employee health standards. In the field of Electrical Discharge Machining, Commonwealth Oil is the only brand to have achieved NSF Registered EDM Fluids to H1 and HT1 Standards with a safe, clean, a reliable line up you can trust. EDM-244 is specially developed by Commonwealth for Electrical Discharge Machines and is the most used EDM fluid in the world. It is extremely popular in Medical, Aerospace, & Automotive applications. EDM-244 is utilized to produce very fine and intricate cuts and profiles and works very well with graphite electrodes. EDM Super Supreme is the highest end synthetic EDM Fluid available on the market. Exceptional machine performance is coupled with continuous predictability and extremely long usable life. EDM 185 is Commonwealth's lowest viscosity dielectric fluid, an excellent choice to use when producing very fine, intricate work, at very close tolerances that is typified by narrow gap cutting. An excellent choice for machinists looking to replace the now discontinued BP-180 brand EDM Oil. The low viscosity helps to improve flushing debris and chips in tight areas. EuroSupreme is your answer if you feel you need a high quality synthetic dielectric fluid, but require a more cost effective approach. EDM 101 is an all purpose fluid, developed by Commonwealth Oil for Electrical Discharge Machines and works very well when machining graphite electrodes. Micro-Fine 49 is specifically formulated to work with Makino HQSF Machines. The purpose of this fluid is to hold the required particulate additive in suspension while it works. This phenomenon is the exact reverse of what is expected from most dielectric fluids. EDM V is Commonwealth's Wire EDM corrosion inhibitor. This product is formulated to provide protection against part corrosion and extend the life of resin beads. EDM V is added to de-ionized water equally between both the clean & dirty water tanks at a concentration of 50:1. EDM Ram Cleaner is a highly concentrated formula for cleaning grease & other contaminants from most parts of your sinker EDM machine. For internal EDM parts, add EDM Ram Cleaner at a ratio of with the old EDM fluid. ** Do not machine parts with cleaner in your fluid** Circulate the fluid through the machine and dispose of in compliance with local regulations. For tough surface cleaning of the tank and external parts, EDM Ram Cleaner can be used at full concentration or diluted with Stoddards solvents and sprayed/brushed onto the machine. It is recommended to use Commonwealth EDM Flushing fluid after your machine has been cleaned. EDM Flushing Fluid is designed to thoroughly clean your sinker EDM machine and flush remaining old fluids before installing new filters and EDM oil. After removing the old EDM oil / Ram cleaner mixture, add enough EDM Flushing Fluid to allow for circulation of the pumps. Cycle the fluid for 30-45 minutes before removing and refilling the tank with new EDM Oil. 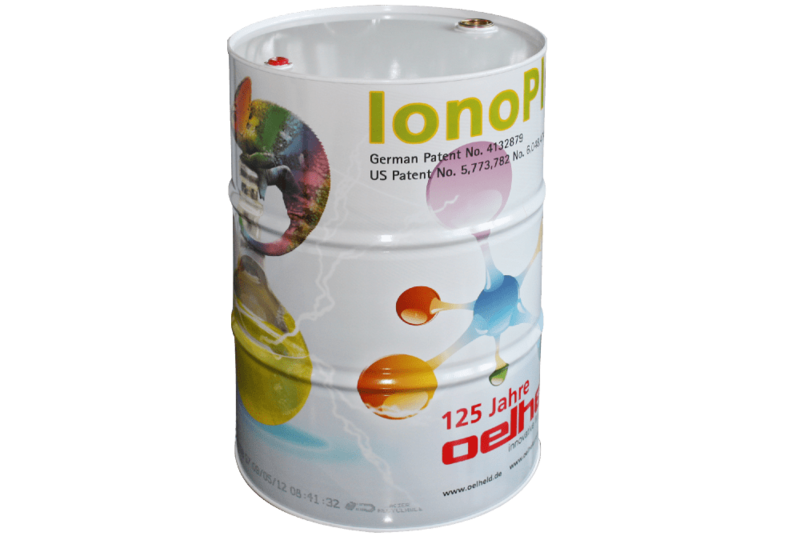 IonoPlus 3000-US (IME-MH) provides high performance for all forms of EDM operations. It has a distinctive green color and is formulated to provide effective flushing and excellent disruptive strength. ALECTROL 240 is an extra light EDM Fluid designed for use on any EDM machine and on all metals. This oil is blended specifically for very fine and intricate work.